From 3 to 8 May 1971, the UN Economic Commission for Europe (UNECE) held a conference on Problems Related to Environment, attended by 211 experts from 29 UN/ECE countries, as well as 75 observers from other countries, UN specialized agencies, and other international organizations. The meeting is virtually forgotten today. Books on the history of international environmentalism rarely mention it, and at the time of writing, a Google search for the name turned up nothing. Its memory has been eclipsed by the UN Conference on the Human Environment in Stockholm a year later. This neglect is unfortunate. Not only was it was a major event at the time, making an important contribution to the emerging international environmental regime, but it also suggests a potential alternative approach to the nexus between international development and the environment. Established in 1947 by the UN Economic and Social Council (ECOSOC) as one of five regional commissions of the United Nations, ECE consisted of all European countries, the USA, and Canada. It was one of the few agencies that included countries from both sides of the Cold War, which gave it a special status as a potential bridge between the East and the West, but also limited the sectors in which it could effectively operate. The environment formed one such sector, as well as being an issue that was highly relevant to the area covered by the ECE. In 1970, ECE member countries accounted for 30 percent of the world’s population, 90 percent of global technical resources and know-how, and 90 percent of global waste. If any group of countries had the need, competence, and responsibility to address the environmental repercussions of industrialization, this was it. 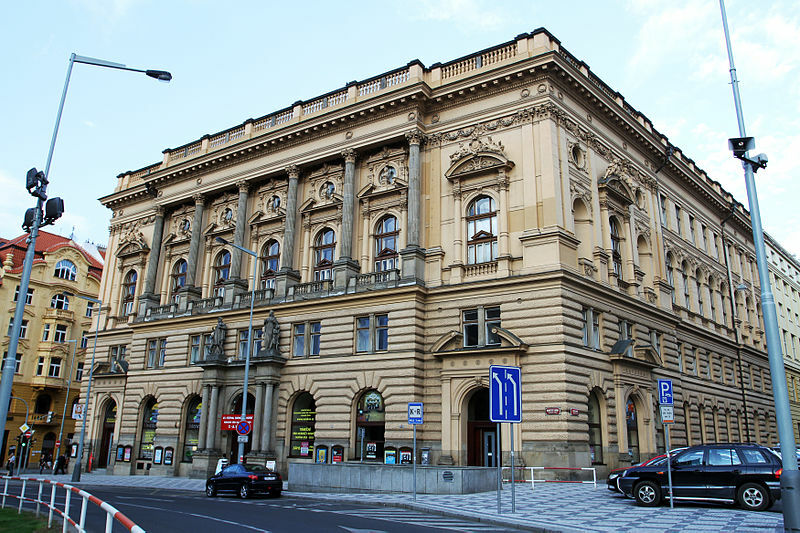 The National House (Národní dum) in Prague: venue of the Symposium on Problems Relating to Environment, May 2–10, 1971. 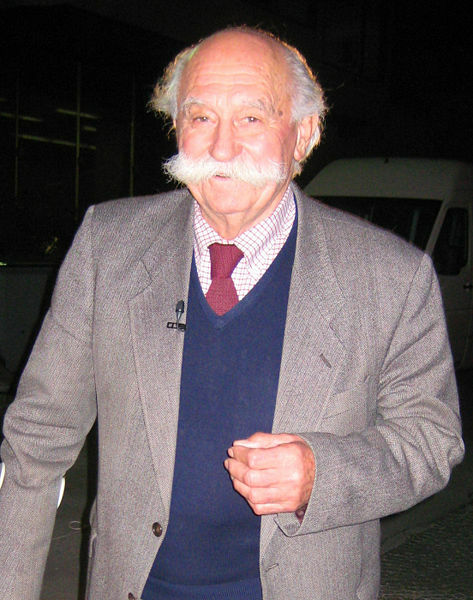 Photograph by Ondřej Kořínek, 2012. In 1967, ECE accepted an invitation from Czechoslovakia to hold a conference in Prague for government experts to discuss long-term environmental challenges in the ECE region. The Czechoslovak government seemed eager to present its environmental challenges and policies, including a visit to its industrial pollution hotspot. After 1968, preparations tied into the parallel organization of the Stockholm conference. The latter was soon negotiated within a North-South frame, strongly affected by suspicions on the part of Southern countries that they would have restrictions on economic development imposed on them under the pretense of environmental concerns. Unrestrained by these sensitivities the Prague conference was both more regional and more openly concerned with tangible environmental burdens. Participating governments were asked to prepare “country monographs” on major environmental problems and relevant policies. Though purely descriptive, these reports were innovative. For many countries it was the first time they had ever collected information on these questions. Eventually, there were over one hundred prepared written contributions and conference discussions, which addressed a wide range of topics, including environmental deterioration caused by particular sectors (energy production, metal and chemical industry, construction) and problems related to waste management, agriculture, forestry, and fisheries, as well as how environmental change would affect particular areas (metropolitan areas, river basins, industrial regions, regions of mass tourism). Though representing different socioeconomic systems, organizers and participants were openly critical of underlying developmental concepts. Specifically, the orthodox commitment to economic growth was repeatedly questioned, either in degree or in principle. Pointing to perceived absurdities, ECE Executive Secretary Janez Stanovnik used his opening statement to ask why adding artificial coloring and sugar to pure water and selling it as “Coca-Cola” was considered economic consumption while removing coloring from black water taken from the Rhine was not. And why was “consumption” considered a determining indicator of living standards anyway? The “general and tentative conclusions” on which the participants ultimately agreed called for a series of measures—a comprehensive, integral approach to environmental management, a comprehensive analysis of the environmental consequences of possible economic decisions—as well as for: innovative, experimental projects such as “zero discharge” factories and environmentally sound human settlements; legislation designed to hold those causing serious environmental damage accountable; a general policy of resource recycling; the coordination of policies regarding areas that spanned several countries (such as inland seas, river basins, or airsheds); measures mitigating or ending soil degradation; and new effective instruments to translate scientific findings into effective environmental policy. These strong statements were a contrast to some weaknesses of the meeting. As in Stockholm, the discussions of substance were overshadowed by the question of the representation of East Germany. To accommodate both Eastern and Western states, the organizers downgraded the meeting from a “conference” to a “symposium.” As a result, there was no final declaration or action plan. The US mission complained that, despite several Eastern European countries showing a genuine interest in comprehensive cooperation, Soviet delegates actively worked to limit discussions to pollution control and nature conservation, excluding more far-reaching topics. And gradually, as the Stockholm conference gained status, the Prague meeting was perceived as a preparatory event of lesser importance. Borrowy, Iris. “The 1971 Prague Conference on Problems Related to Environment—A Forgotten Contribution to International Environmentalism.” Environment & Society Portal, Arcadia (Spring 2019), no. 11. Rachel Carson Center for Environment and Society. http://www.environmentandsociety.org/node/8505. Committee on International Environmental Affairs, Task Force III. US Priority Interests in the Environmental Activities of International Organizations. Washington: Department of State, 1970. Berthelot, Yves, and Paul Rayment. Looking Back and Peering Forward: A Short History of the United Nations Economic Commission for Europe, 1947–2007. New York / Geneva: UN, 2007. Borowy, Iris. “Before UNEP: Who Is in Charge of the International Environment? The Struggle for Institutional Responsibility 1968–1972.” Journal of Global History 14, no. 1 (2019): 87–106. Grieves, Forest. “Regional Efforts at International Environmental Protection.” International Lawyer 12, no. 2 (1978): 309–31. Mishan, Ezra. The Costs of Economic Growth. London: Staples Press, 1967. Grieger, Andreas. “Only One Earth: Stockholm and the Beginning of Modern Environmental Diplomacy.” Arcadia 2012. Iris Borowy is Distinguished Professor of history at Shanghai University. She was educated at the Universities of Tübingen, Germany, and of Maryland at College Park, USA. Her research has addressed the history of international health and its relations to economic and environmental policies of international organizations. Recently, her research focus has shifted towards development concepts. Her publications include Coming to Terms with World Health. The League of Nations Health Organisation (2009), Defining Sustainable Development for Our Common Future, A History of the Brundtland Commission (2014) and The History of the Future of Economic Growth (2017), co-edited with Matthias Schmelzer.